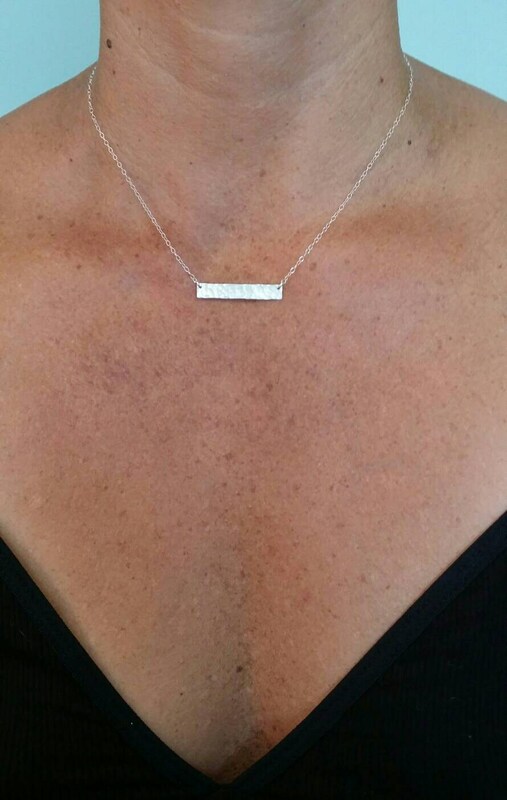 Our elegant wide silver bar necklace. It's the perfect layering addition. 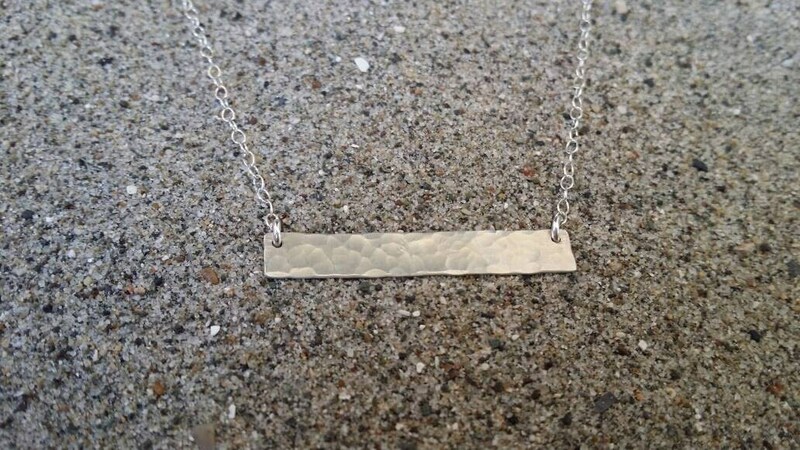 This textured sterling silver bar is 1.25 inches long and .25 inches wide. 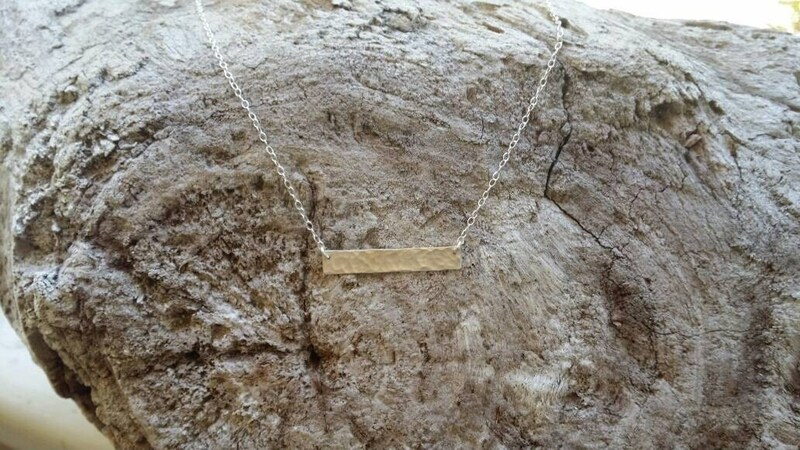 It hangs horizontally, attached at both ends to a high quality sterling silver chain with a sterling clasp. Shown here in 18" length. Also available in gold fill as seen in the last photo. 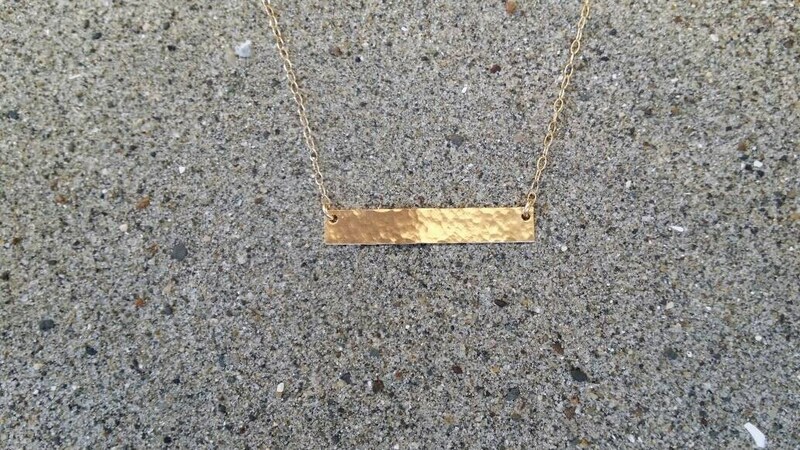 Lovely necklace. Seller was quick and easy to work with.